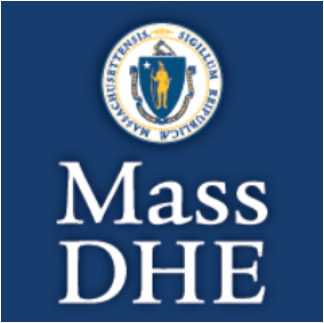 Framingham, MA — Bob Hildreth, President of the Hildreth Institute, today delivered the following testimony to the Massachusetts Board of Education regarding their proposed ‘stress tests’ for private colleges. Good morning Mr. Chairman and thank you for this opportunity to address you, the Board of Higher Education, and members of the THESIS Subcommittee. Let me first congratulate you for taking on this urgent task and for your report and recommendations. This is a necessary first step in protecting students when their schools face financial difficulties. Since you began this task, two more colleges have reported the need to close or merge. That makes four Massachusetts institutions in just one year. Your focus on students is appropriate and compassionate as the unfortunate end of Mt. Ida illustrates. Your report however omits mention of an important stakeholder: taxpayers that have provided millions of dollars for each college through the provision of financial aid — free money to colleges in exchange for their commitment to graduate our students. Closures violate that commitment. My main recommendation is that the Department of Higher Education create a formal role of a financial institution to provide the expertise so necessary to this task. When you enter the finances of a failing institution you will find money matters like liquidity, debt, leans and escrows, future obligations and existing credit lines grow more complex, not less. Reliance on fixed formulas like the teach-out viability metric or timelines like the 18-month threshold can only go so far. As the report states, “the TVM is exclusively for screening purposes. All assessments thereafter will involve multiple considerations.” It is essential that the Board have a merger and acquisition expert, or a bankruptcy lawyer of a private law firm at its side. You may plan not to need them but circumstances are likely to dictate otherwise. The 18-month threshold may not be viable as well, as colleges may close much sooner. Sometimes a 10-seat enrollment drop is enough to spell financial doom. As word leaks out, credit lines may be pulled and bonds called. That’s why I urge you to consider establishing an emergency line of credit for struggling colleges. It would provide time for students to find replacement institutions and time for colleges to make a good merger and avoid a bad one. These lines are common practice in private sector bankruptcies and have proven essential for orderly liquidations. The Massachusetts Education Finance Agency — MEFA — the quasi-public bank operated by the Commonwealth, could administer such a line. Regrettably, the report says nothing about prevention. It attributes the difficulties in college finance to demographics and rising costs. Until we recognize the pernicious effects student loans have on college finances, we will be unable to address prevention. Hildreth Institute, a non-profit organization, was established in 2018 to pull the curtain back on the unsustainable higher education system in America — the direct result of a flawed financial aid system. At Hildreth Institute, we fight for zero-debt college because we believe that student loans are not the right financial aid tool for our students or their families. We need to move to a zero-debt system that makes college affordable to all, without leaving students mired in debt.